This is the FDE50VG under ceiling/suspended air heat pump system from Mitsubishi rated at 5KW output. This consists of an outdoor unit, the indoor unit and also a full programmable controller. 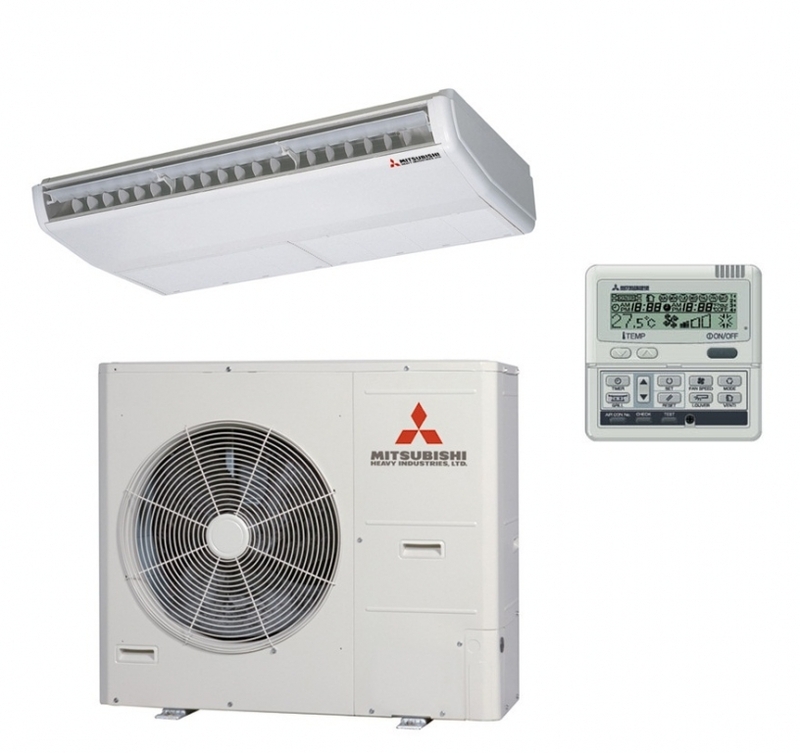 The Mitsubishi FDE50VG is a popular choice for smaller commercial premises to provide all year round heating and air conditioning and is far cheaper to run than electric only heating systems. You have a choice below of a flared install kit up to 10 metres or for longer pipework lengths select our full fitting kits.